The athleisure trend will reach new heights this year, pushing the UK sports clothing market to £2.5 billion in 2017, up 8% on 2016, according to GlobalData, a recognized leader in providing business information and analytics. 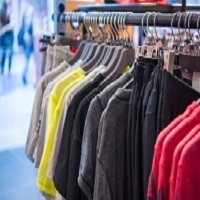 The company’s latest report states that the total UK clothing market will rise by just 2.1% this year, demonstrating the extent to which sportswear is outperforming other clothing segments. Indeed, fashion retailers have picked up on the trend for sportswear and will continue to invest as consumer demand for fashion-led sports apparel remains high. Even sports brands from the 1980s and 1990s such as Kappa and Ellesse are tapping into market opportunities, due to a resurgence in consumer demand following high profile attention via Instagram influencers. Fiona Paton, Retail Analyst for GlobalData, explains: “Sales growth in athleisure is set to peak in 2017 but it will remain a very popular category over the next five years, outperforming total clothing. The health & wellbeing trend, influence of high profile fitness bloggers and continued investment from the government in initiatives such as improving cycle routes will increase consumer participation in sport and exercise – providing retailers with a larger, more varied activewear customer base. Gym fitness, swimming and running are the preferred activities among females and all have seen an increase in participation levels over the last year according to GlobalData’s survey of 10,000 UK consumers. The wellness trend has contributed to this shift, with health and fitness bloggers such as Ella Woodward, Joe Wicks and Shaun T gaining a substantial following and subsequently raising awareness of healthy living and the benefits of regular exercise which all supports the athleisure market. Paton continues: “As fashion retailers such as New Look, Primark and ASOS invest in affordable, trend-led own brand sportswear ranges, female shoppers have access to more choice, will spend more on impulse and will purchase athleisure pieces in replacement of core casualwear items.